DURHAM, N.C. — Manufacturers are increasingly using encapsulated coal ash from power plants as a low-cost binding agent in concrete, wallboard, bricks, roofing and other building materials. But a new study by U.S. and Chinese scientists cautions that coal ash from high-uranium deposits in China may be too radioactive for this use. "While most coals in China and the U.S. have typically low uranium concentrations, in some areas in China we have identified coals with high uranium content," said Avner Vengosh, professor of geochemistry and water quality at Duke University's Nicholas School of the Environment. "Combustion of these coals leaves behind the uranium and radium and generates coal ash with very high levels of radiation." The level of radiation in this coal ash could pose human health risks, particularly if it is recycled for use in residential building materials, he said. Some of the coal ash samples analyzed in the new study contained radiation levels more than 43 times higher than the maximum safe limit established for residential building materials by the United Nations Scientific Committee on the Effects of Atomic Radiation. "The magnitude of radiation we found in some of the Chinese coal ash far exceeds safe standards for radiation in building materials," said Shifeng Dai, professor of geochemistry at the state key laboratory of coal resources and safe mining at China University of Mining and Technology (CUMT) in Beijing and Xuzhou, China. "This calls into question the use of coal ash originating from uranium-rich coals for these purposes." Vengosh, Dai and their teams published their findings Nov. 8 in the peer-reviewed journal Environmental Science and Technology. 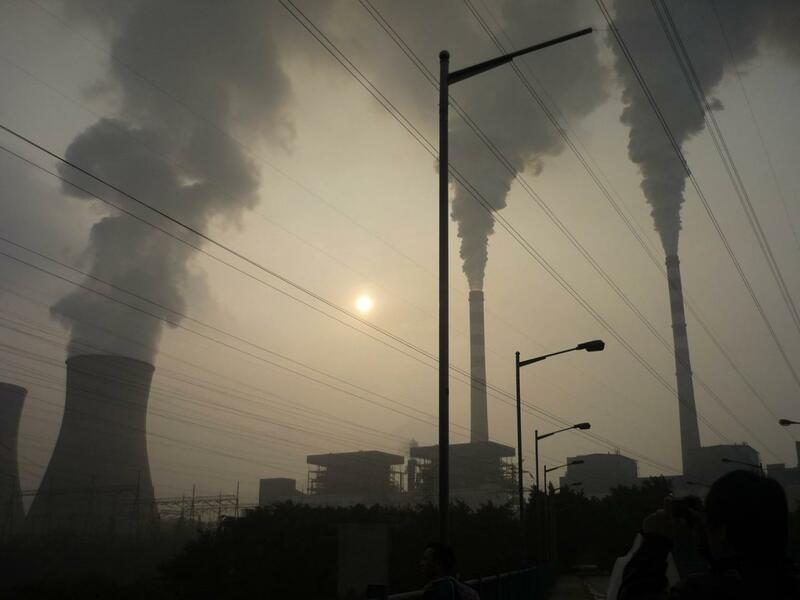 The new paper is part of an ongoing collaboration between researchers at CUMT, Duke and Duke Kunshan University to identify the environmental impacts of coal and coal ash in China. Vengosh holds a secondary faculty appointment at Duke Kunshan, which is in China. To conduct their study, the scientists measured naturally occurring radioactivity in high-uranium coals from 57 sites in China. They also measured radiation levels in coal ash residues produced from this coal, and in soil collected from four sites. "By comparing the ratio of uranium in the coal to the radioactivity of the coal ash, we identified a threshold at which uranium content in coal becomes too high to allow coal ash produced from it to be used safely in residential building construction," said Nancy Lauer, a Ph.D. student at Duke's Nicholas School, who led the research. This threshold — roughly 10 parts per million of uranium– is applicable to high-uranium coal deposits worldwide, not just in China, "and should be considered when deciding whether to allow coal ash to be recycled into building materials," she said. All radionuclide measurements of coal and coal ash samples were conducted in Vengosh's lab at Duke. "Since our findings demonstrate that using ash from this high-uranium coal is not suitable in building materials, the challenge becomes, how do we dispose of it in ways that limit any potential water or air contamination," Vengosh said. "This question requires careful consideration." Funding came from the National Key Basic Research Program of China (grant #2014CB238902) and the National Natural Science Foundation of China (grant #41420104001).